The 1839 built Hotel Rothaus Lucerne is located in the the heart of the city's Bruch district. 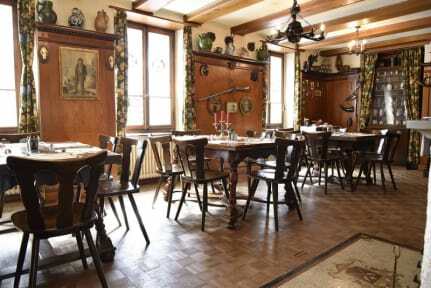 The privately-owned 3-star hotel offers a Peruvian Restaurant Pikante (for Lunch and Dinner) as well as the Historic “Jäger Stube” for breakfast and private dining. A banqueting-room is available on the first floor of the hotel with a size of 55sqm for special events or functions. A Business Corner is available on the ground floor – for hotel guests. Limited Public Parking space is available on request. The historic Old Town of Lucerne is in walking distance (500 meters) just across the street. Main Station, the Lake Lucerne and the Culture & Congress Centre (KKL) can be reached within a short walk (5 Minutes). The Retro Swiss style category accommodate occupancy from 1-2 persons. 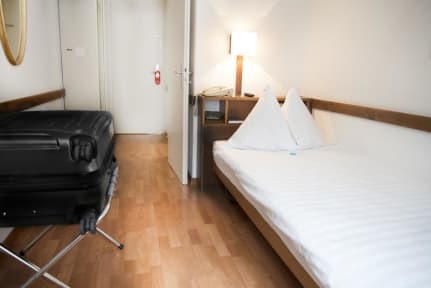 Each room includes a direct dial telephone, a safe, working desk and a Satellite TV. Reception: 7.00 – 22.00 daily.